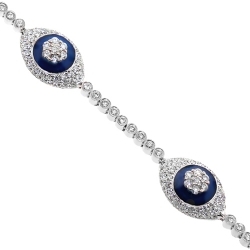 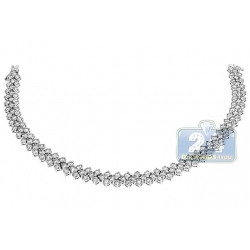 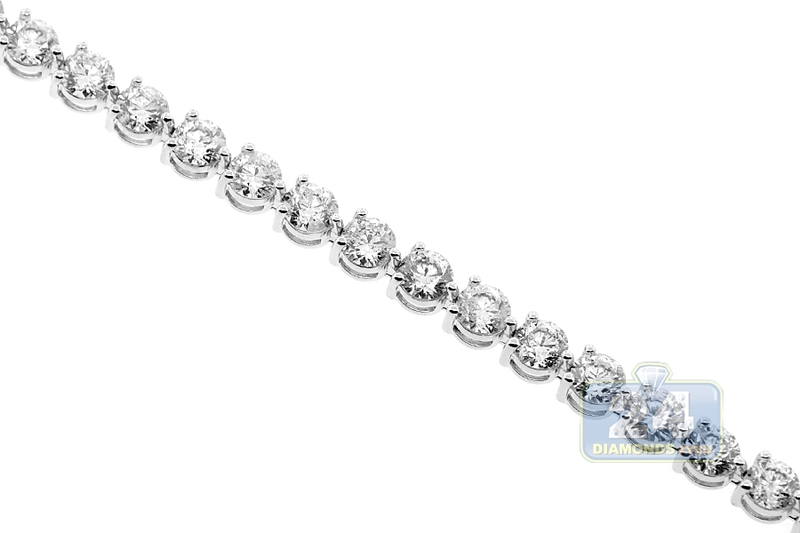 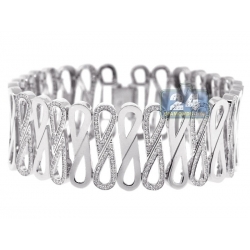 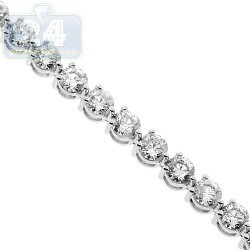 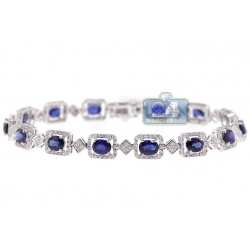 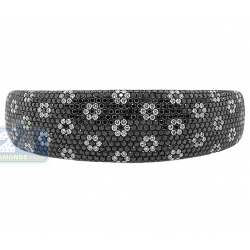 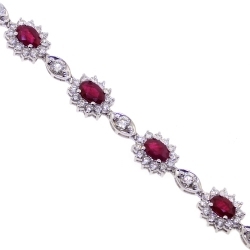 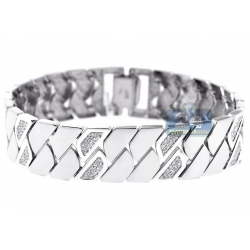 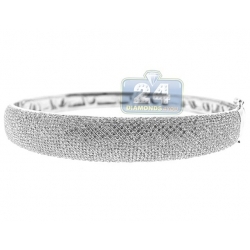 Womens Round Diamond Tennis Bracelet 18K White Gold 5.29 ct 7.25"
This stunning diamond tennis bracelet radiates class, sophistication and chic! 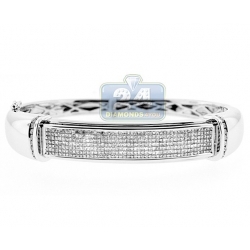 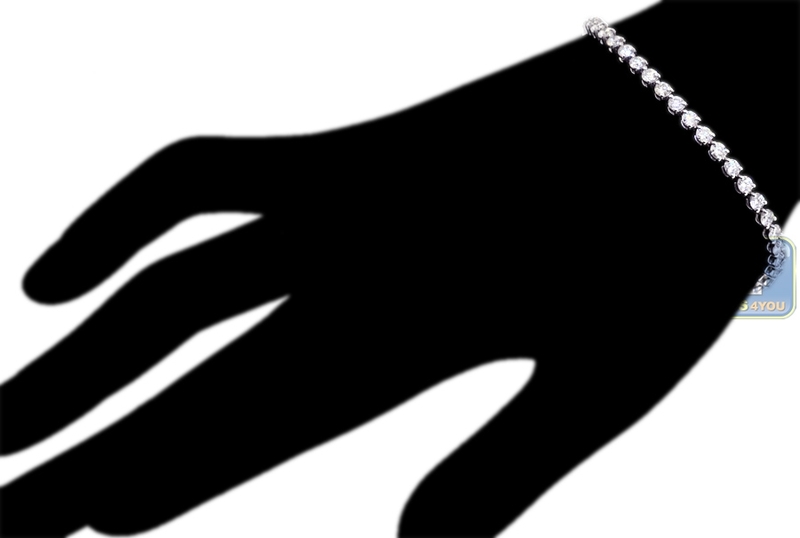 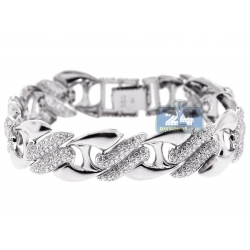 It is professionally handmade of cool 14k white gold, has polished finish, and expertly accented with natural 5.29 carats of icy white round brilliant-cut diamonds. 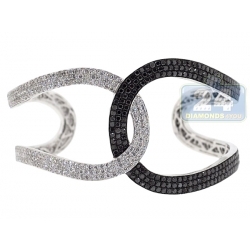 Each brilliant is set on three durable prongs to offer absolute security and attractive design. 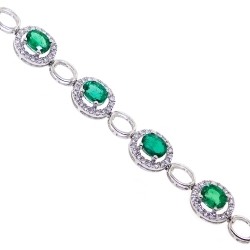 Wear this amazing piece of jewelry solo or combined with our bracelets! 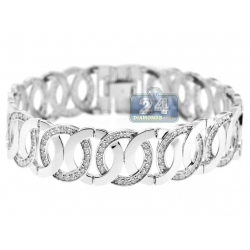 The detailed certificate/appraisal included.